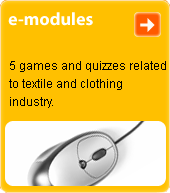 used most commonly with wool fabrics. Composed by fulling, which is achieved by mechanical friction in a soap solution, and napping. Fabric thereby acquires a subtle surface which is soft to the touch and has a long, uneven, one-way pile which conceals the weave.